You do not want to give men the usual fragrant candles you buy for women. Instead, buy them Man Candles, which include manly scents like coffee, dirt, and campfire. Buying this Remote Control Pillow will make sure he won’t lose his pillow ever again, since he will also be using it for self-comforting purposes on the couch. This gift will surely make a statement for any man. Big Face T-shirts contain the face of anyone’s favorite animal pressed in a huge form. These Bluetooth powered gloves come in handy in the coldest of winters. It allows you to make your phone calls without having to take off your gloves. They are great for any cold winter activities or sports like skiing. Barney Stinson from How I Met Your Mother can be seen wearing these suit pajamas. These pajamas make for the perfect gift for fans of the show. There is no need to get out of the swimming pool anymore just to grab that can of beer. With the floating cooler, you can have your drinking sessions while swimming! It also includes six cup holders for your convenience. 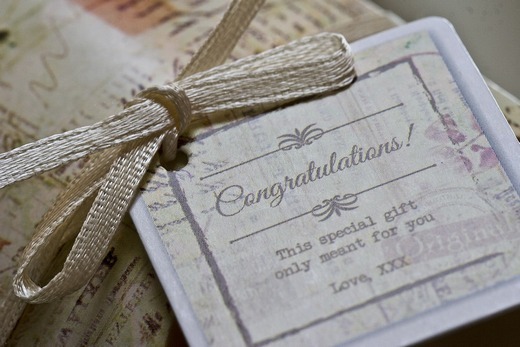 You can add personally labeled wine from iCustom Label to make the gift even sweeter. The Machete Spatula is perfect for this grill and drink sessions most guys enjoy. It can cut through anything while doubling as a grilling tool! It also triples as a bottle opener upon encountering those beer bottles in your cupboard. Light these pieces of real cedar and oak chips to exude that attractive campfire smell. This a perfect gift for any outdoor oriented man who wishes to bring the campfire musk to anywhere he goes. This zombie tarot card deck contains zombie artwork, which creates a light and fun experience compared to conventional tarot card art. Send a message to your friend by giving him personalized superhero action figures. Choose any of his favorite superheroes and send a picture of his face. You will get an action figure sculpted to the likeness of his face! Who wouldn’t want to be compared to Batman (or Joker)? Give to your friend the chance to grow his tallest tree. This DIY kit allows any man to plant his own Giant Sequoia and nurture it to be as tall as his ambitions! Men will always want to have fun with a bit of roughness to spice it up. Certainly these gifts are sure to spoil any bachelor looking for manly possessions to enjoy.